The Edlers at Emmaus: Noise!! 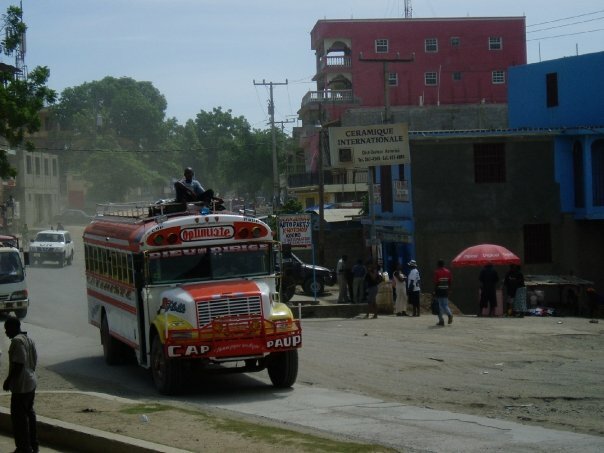 I never thought I would be happy to hear the sound of a horn on a huge truck in Haiti. 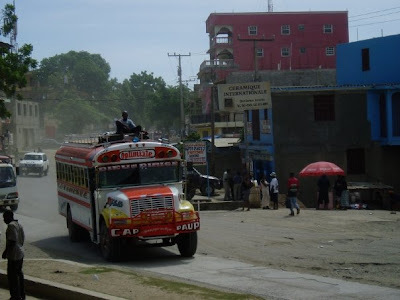 Just to explain a wee bit.......driving in Haiti is a bit crazy and the rules are, if you want to be seen beep your horn, if you want to overtake beep your horn, if you want someone to move beep your horn......if you just feel like it beep your horn and for as long as you want!!!. The other rule is if you are bigger you have right of way!And what generally happens is these huge trucks come along with their hand on their horn for a good 15 seconds to get everyone else in their way to move. Everytime I drive past one or hear the horn from my house (which is often) it does my head in, there is no need for it to be that loud and that long....its not like we don't see the HUGE trucks coming!!! When one of these drive towards me with their hand on the horn I very quickly move out of the way!! Anyway today we have heard lots of loud horns and cars and people and Haiti is back to being noisy!Which is great, all that means, things have settled down after 4 days of rioting in and around town and after people being confined to their homes it nice to hear some noise outside. We have heard the rioting is mainly due to the cholera outbreak and people want something done about it and also there are rumours that the UN are responsible for bringing cholera to Haiti and most of the rioting was against the UN. We thank God for the peace today, please pray it will continue. Pray for elections which will take place next Sunday (28th), pray that the right people will be chosen for the positions here in Haiti.